A wonderful and well animated steampunk adventure that suffers from uninteresting characters and a heavily cliched plot. In an alternate version of 19th-century England, 13-year old mechanical expert James Ray Steam eagerly awaits the return of his father and grandfather, both scientists who are conducting research overseas. However, his grandfather returns bearing bad news: His father is dead and his project, a new source of energy called a "Steam Ball," is being sought by a corrupt American company called the O'Hara Foundation. Almost immediately after discovering this, Ray is pursued by O'Hara agents determined to gain the technology for themselves. But this situation is even more complex than he realizes. It turns out that his father is still alive and actively working with the O'Hara foundation to complete his ultimate invention: The Steam Castle. Fearing that the Steam Castle would be used as a weapon and drive the world into chaos, Ray's grandfather had sent the Steam ball to him in order to prevent the project from being completed. 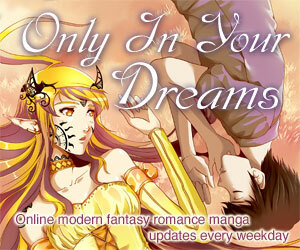 Ray suddenly finds himself torn between the loyalties of his two feuding family members. Should he help his father finish the Steam Castle, or should he aid his grandfather in ensuring that it is never completed? Meanwhile, other factions, such as the British government and the industries of tycoon Robert Stephenson, are interested in using the Steam Ball for their own agendas. Steamboy was heavily hyped during its North American release in 2005, and the reasons for this are very understandable. It was directed by Katsuhiro Otomo, who previously directed the famed anime hit "AKIRA" and has been involved with several other notable anime films such as "Roujin Z," and "Metropolis." The box cover of the DVD proudly proclaims "over 10 years in the making," and with a budget of over 20 million dollars, it is among the most expensive anime film ever made. So does it live up to the hype? In most cases the answer is yes, but there are some problems that cause it to fall a bit short of a masterpiece. Even so, this is a superb film, and in many was sets some standards, particularly in terms of animation, that all future anime films of its genre are going to have a very difficult time living up to. Steamboy is a "steampunk" (primitive cyberpunk) film set in 1860's Great Britain, where the steam engine is responsible for technology just as advanced, and in some cases far more advanced, than technology in the present day. This film features steam tanks, steam submarines, steam armored troopers, steam jet packs, steam flying machines, and of course, the great steam castle, which is basically a 19th century Death Star. The movie also has some other technological advances a bit ahead of the real life time period, such as steel battleships, Zeppelins, and robotic prosthetic limbs. The whole concept can be cheesy, but in this film it is very effectively used, creating a fantastic sci-fi world full of amazing inventions and adventure. Throughout the entire film, it keeps you wondering what steam-powered technological marvel you'll see next. Furthermore, the animation is absolutely phenomenal. This seriously might just be the most well-animated movie ever made. The backgrounds are simply beautiful and superbly detailed. So much that even simple 19th-century technology like textile mills and primitive engine rooms look far more grand than things more normally associated with epic adventure films like dragons, alien starships, or giant robots. The character animation is also outstanding, while vehicles, trains, and ships, look virtually flawless. In addition, Steamboy also features a superb soundtrack that helps bring the incredible setting of the movie to life. The music in this movie is easily on par with best high budget Hollywood films. The voice acting is also top-notch, featuring an all-star cast that includes Anna Paquin, Kari Wahlgren, and Patrick Stewart. Steamboy also benefits from the number of different environments, creating a fantastic setting for Ray's epic journey. The movie starts out slow in Manchester, but quickly picks up with a high-speed chase through the city. Throughout the film, we are treated to incredibly well designed environments, including several that are based on real life events and locations, such as Manchester's Town Hall, the Crystal Palace in Hyde Park during England's famed "Great Exhibition," and London's famous Tower Bridge. Of course, the main environment is the Sky Castle, which, while having a lot of similarity to Hayao Miyazaki's "Castle in the Sky," is still one of most incredible environments I've ever seen in an animated film. Unfortunately, there are two key concepts that do not share the high quality of the rest of the film: The story and the characters. The plot in Steamboy is about as typical as they come: Young adventurer trying to stop an evil organization (the O'Hara Foundation in this case) from using super technology to do bad things. The conflict between the two senior members of the Steam family (Ray's father and grandfather) could have made it more interesting, but it doesn't because while neither one of them is really a clear-cut "good guy" or "bad guy," it's painfully obvious which one Ray should side with. As soon we discover Ray's father is supported by the O'Hara foundation, it's becomes abundantly clear that he is working for the wrong side. After all, when do corporations (particularly American-owned ones) ever do anything positive with incredible inventions in a movie? As we all know, corporations in movies absolutely must hijack all technology they have access too and, regardless of the original purpose, use it for bad things. Just learning the mere fact that Ray's father is working for the O'Hara Foundation allowed me to correctly predict the story for almost the entire remainder of the film. As for Ray's grandfather, well, he's portrayed as a bit of an extremist, but he's working against the O'Hara Foundation, so we know he can't be that bad. After all, how many characters working against corporations in movies are ever depicted as the bad guys? Once again, learning some rudimentary facts about his role in the story allows a viewer to easily predict future events in the film. As the movie progresses, the story keeps using one cliche after another, such as "Corporations are bad," "Governments are bad," "Military Leaders are bad," "Everyone with political power is bad," "Humanity is not ready for the ultimate weapon," and "Making weapons is bad." The whole story is not only horribly unoriginal, but also utterly predictable. Even the biggest plot twists can easily be predicted in advance. The characters aren't particularly interesting either. Ray is pretty much "generic Miyazaki adventure hero #8," while the rest of the cast mostly consists of corrupt corporate guys, corrupt government guys and corrupt military officers, and corrupt scientists. The whole movie left me wondering if Ray is supposed to be the only genuinely decent human being on the entire planet. The main female character in the film, Ray's sort-of love interest Scarlett O'Hara, is a somewhat more interesting mix of corporate greed and positive human emotions, but she is still fairly stereotypical as well. After all, she's an heir to the O'Hara Foundation, so we know she absolutely must be a spoiled brat who treats everyone as though they are beneath her (at least at first). Sure enough, that is the case. But even with its shallow characters and weak plot, Steamboy is still a superb epic adventure film. In terms of animation, productions values, and setting, this movie is truly groundbreaking, while the incredible adventure and wonders of Otomo's fascinating world help it overcome the deficiencies in the story. It's a bit of a shame that Otomo could not come up with a better plot and more interesting characters, which likely would have made this one of the best anime films of all time, but this movie is still easily good enough to satisfy anime fans of all ages. Written and Directed by Katsuhiro Otomo, the famed anime and manga creator responsible for AKIRA as well as a number of other somewhat less seminal works. 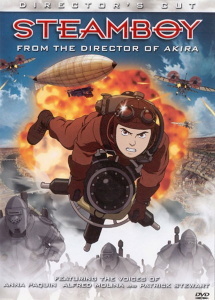 In addition to the Japanese theatrical run in the latter half of 2004, Steamboy also made the theatrical rounds in the US in 2005, seeing somewhat limited release across the country. It did relatively well in the theaters it was shown in. It was also featured at several international film festivals. The production cost 2.4 billion yen (about US$26 million), apparently just barely edging out the earlier (1997) Princess Mononoke for most expensive anime production of all time in absolute terms. AKIRA is, of course, another film high on the list, with a budget of 1.1 billion yen (US$14.5 million) in 1988 (which, somewhat interestingly, comes to nearly the same cost as Steamboy if you adjust to 2009 dollars); Metropolis, which was scripted by Otomo, is also near the top of the list at 1.5 billion yen (about US$18 million) in 2001. Other notables are Spirited Away at 1.9 billion in 2001 and Ghost in the Shell 2: Innocence at 1 billion in 2004. Since then the record was taken by a wide margin by Ghibli's Ponyo, which Wikipedia claims cost 3.4 billion yen in 2008. Unlike most of those other movies, however, Stemboy was apparently a financial disaster; according to most of the numbers floating around the web it grossed less than half of what it cost to make. There are a number of sights in this movie's version of 1866 London that, in the real Earth's timeline at least, would not have existed at the time. The London Tower Bridge, for example, wasn't completed for another three decades, and other buildings shown are also somewhat anachronistic, as is the modern Canadian flag visible at one point (Canada wasn't even a country at that point). The Great Exhibition was an actual event, though in reality it occurred 15 years earlier, in 1851. Then again, there were no giant steam-powered weapons in 1866, either, so it's hard to be too picky. On that note, much of the military hardware shown--flying machines, tanks, and metal ships--wasn't invented or popularized until considerably later. Scarlett O'Hara is, presumably, a reference to the character in Gone with the Wind. Robert Stephenson is apparently based on a real life British civil engineer of the same name. The actual Robert Stephenson made a name for himself designing locomotives and railway bridges so he did, in fact, work with steam. Speaking of famous people referenced, there is a shot during the film's opening that includes communist manifesto authors Karl Marx and Friedrich Engels; they were both indeed living in England at the time. The "Director's Cut" DVD features anamorphic widescreen video and a boatload of audio options: Dolby Digital 5.1 in your choice of Japanese or English, additional dubs in stereo in French, Spanish, and Portuguese, plus subtitles in English, French, Spanish, and Portuguese. Extras include an interview with Otomo, production drawings, an assortment of samples of how the animation was done, and the ending montage. Very family friendly, but it does have some violence and a few realistic deaths. Violence: 2 - Mostly just machines blowing up, but there are some visible human deaths. Language: 0 - And nothing. Available in North America from Sony Pictures on multi-lingual DVD (Japanese audio and dubs or subtitles in English, French, Spanish, and Portuguese). Also available on bilingual UMD. Steamboy is Copyright © 2004 Katsuhiro Otomo - Mash Room / Steamboy Committee. Any images are the property of their respective rightsholders, and included for review purposes only under the fair-use clause of US copyright law.